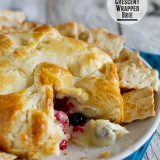 Soft and gooey and a vibrant red, this Red Velvet Pull Apart Bread is perfect for breakfast or for a delicious dessert. 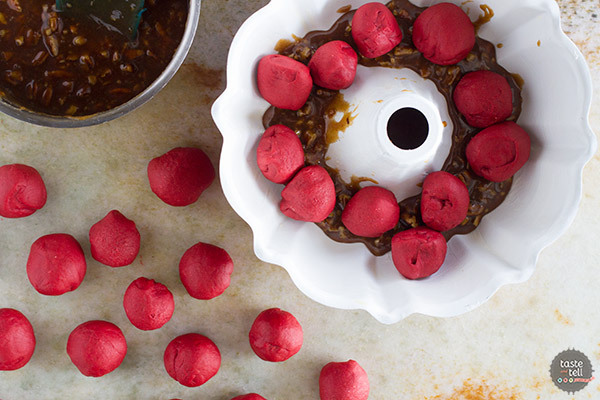 Layers of red velvet dough are covered in a gooey cinnamon pecan mixture. Don’t skip the cream cheese icing to top the whole thing off! If there is one thing I like to do more than anything else around Valentine’s Day, it is to bake for someone. I have always been a believer in the notion that the way to someone’s heart is through their stomach. And since Valentine’s Day is all about love, what better way is there to show that love than to bake something for someone that you love? 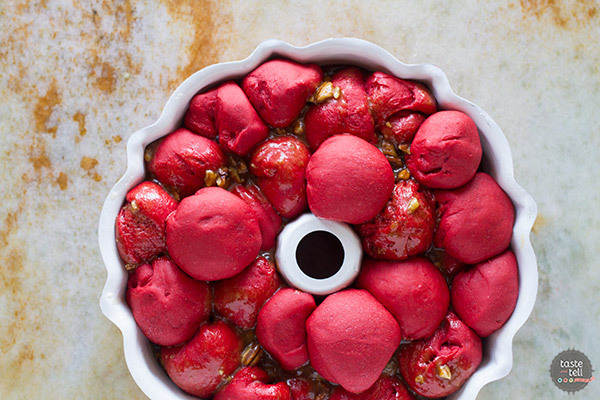 For me, Valentine’s Day is all about the red velvet, I decided to give this Cinnamon and Pecan Pull Apart Bread that I saw on the Fleishmann’s® Yeast website a red velvet twist. 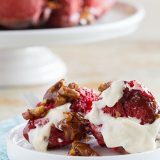 I knew that by giving it that bright red color, hint of cocoa and a touch of cream cheese icing would make this perfect for Valentine’s Day! Short on time? 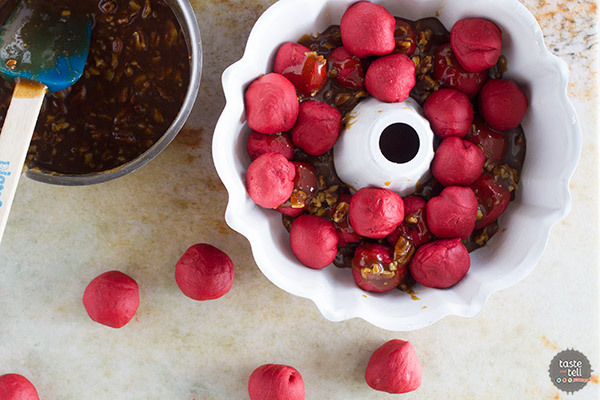 Refrigerate your dough overnight or up to 24 hours and bake when ready! 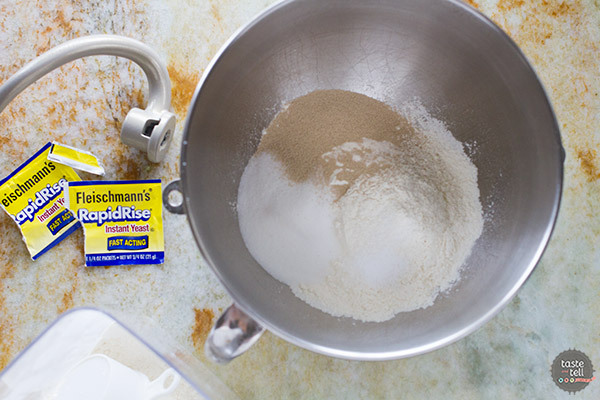 If you are new to working with yeast, or if it’s one of those scary things for you to bake with, I’m here to ensure you that it is actually very simple – especially when you are using a product that you can count on, like Fleischmann’s® RapidRise™ Yeast. It saves on time, only requiring one rise. 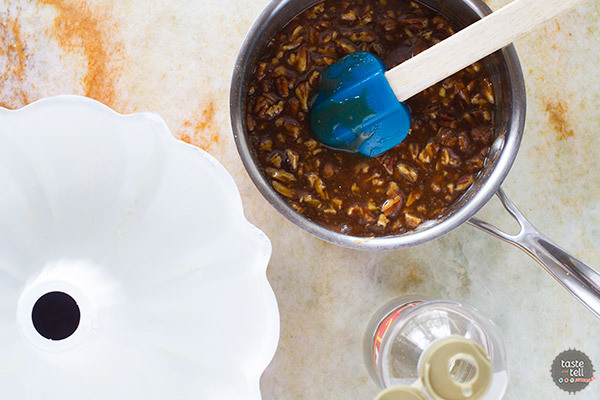 You will first start by making the sticky pecan glaze. 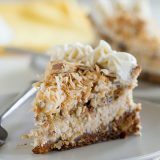 You’ll combine butter and brown sugar and cook to melt the butter, then add in cream, Karo® Corn Syrup, vanilla, cinnamon and salt. Then stir in the pecans. The bread dough starts by combining flour, sugar, Fleishmann’s® RapidRise™ Yeast and salt. In a saucepan, you will heat the milk, butter and water, then add it to the flour mixture and mix to combine. Then add in the eggs. 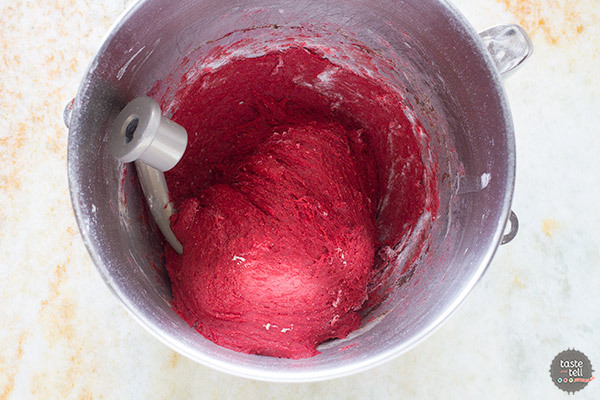 It wouldn’t be red velvet without red food coloring and cocoa powder, so those go in next! 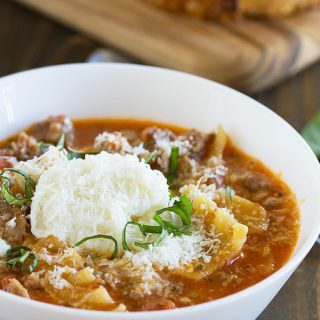 Mix it all together, and continue to add flour until you get a soft dough. 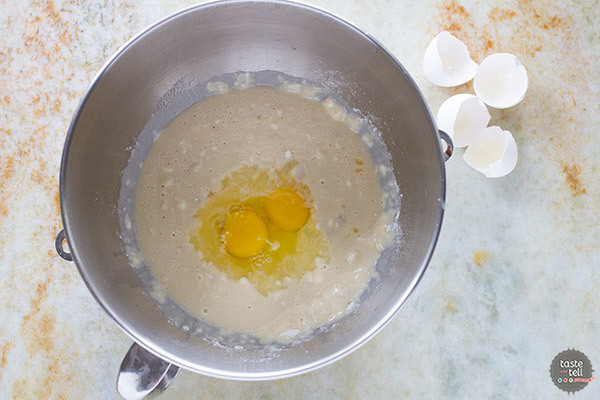 Knead it in your mixer for a few minutes to bring it all together. Then turn it out onto a work surface and cover it and let it rest for 10 minutes. Now is the fun part!! 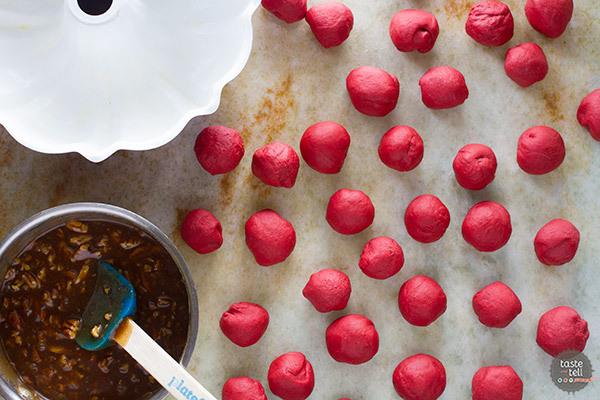 Divide your dough into 32 equal pieces and roll them into balls. 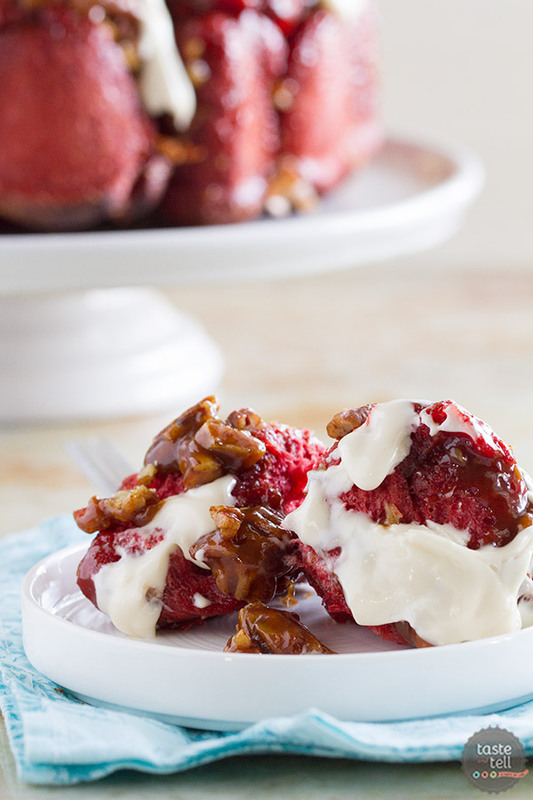 Have your sticky pecan glaze ready, because you’ll need it next! Pour 1/3 of the sticky pecan glaze in the bottom of a greased bundt pan. Top that with 1/3 of the dough balls. Next goes another 1/3 of the sticky pecan glaze, then another 1/3 of the dough balls. 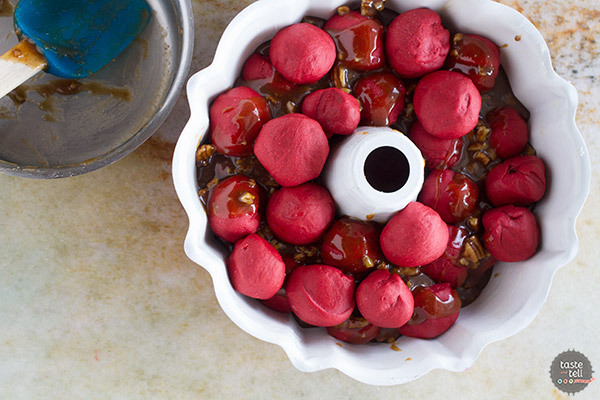 Finish it off with the remaining sticky pecan glaze, then the remaining dough balls. Cover the pan and let it rise in a warm place until the dough reaches the top of the pan, about 45 minutes. Next you’ll bake the bread until baked through and the top is golden brown. 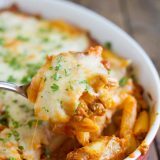 Let it sit in the pan for 10 minutes, then turn it out onto a serving plate. You’ll make a simple cream cheese icing to top the warm bread with while the bread is baking. Because red velvet deserves to be topped with cream cheese icing!! This Valentine’s Day, make sure you bake a little extra to share with your loved ones around you. 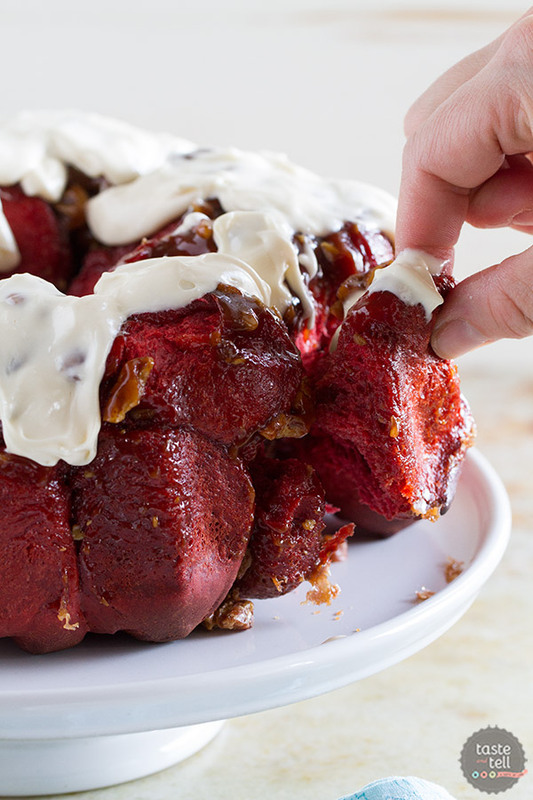 This Red Velvet Pull Apart Bread is perfect for sharing and for showing that love. Generously grease a 12-cup bundt pan with butter. Set aside. In a small saucepan, combine the butter and brown sugar and heat until the butter has melted. 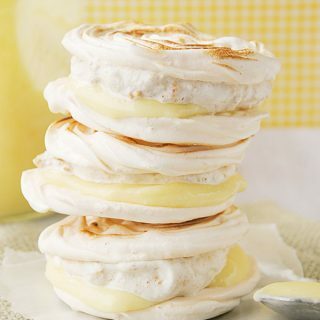 Remove from the heat and whisk in the cream, corn syrup, vanilla, cinnamon and salt. Add the pecans and set aside. In the bowl of a stand mixer fitted with the dough hook, combine 2 cups of the flour, the sugar, undissolved yeast and salt. 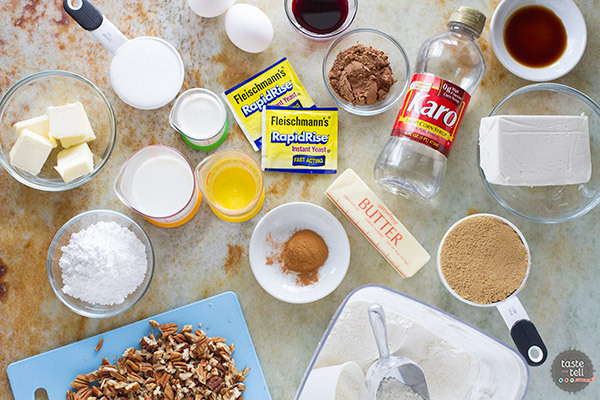 In a small saucepan, heat the milk, butter and water until very warm (120ºF – 130ºF); stir into the flour mixture. 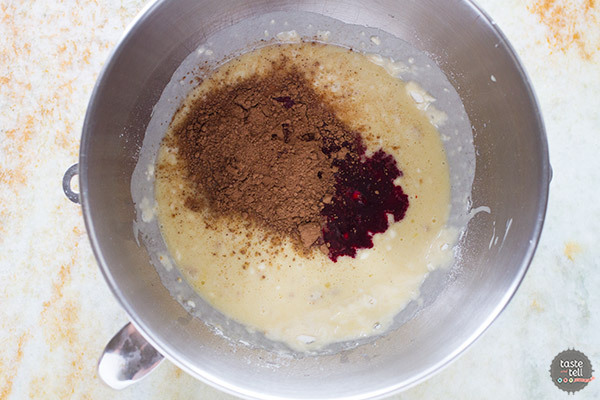 Add in the eggs, then the cocoa powder and red food coloring. Add enough of the remaining flour just to make a soft dough. Beat for 3 to 5 minutes. Alternately, knead by hand on a lightly floured surface for 8 to 10 minutes. 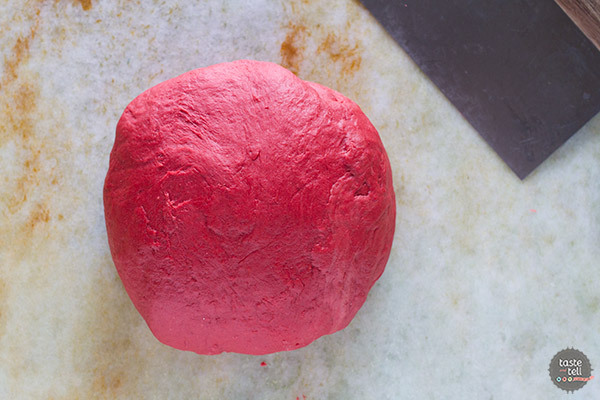 Place the dough on a floured surface, cover and let rest for 10 minutes. 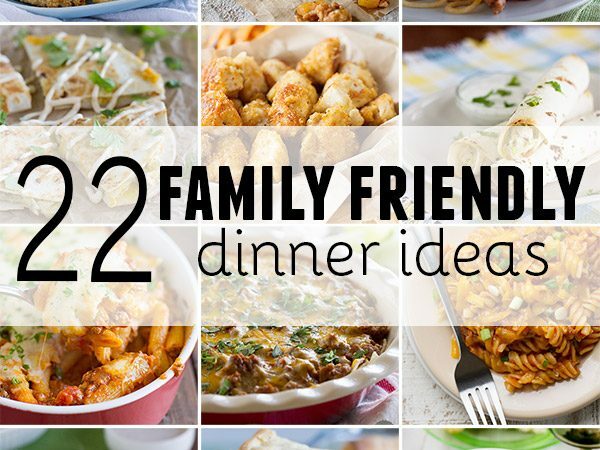 Divide the dough into 32 pieces. Roll each piece into a ball. Pour 1/3 of the pecan mixture into the bottom of the prepared pan. Place 1/3 of the dough balls over the pecan mixture. Pour another 1/3 of the pecan mixture, followed by another 1/3 of the dough balls. Finish with the remaining pecan mixture then the remaining dough balls. Cover and let it rise in a warm, draft-free place until the dough rises to the top of the pan, about 45 minutes. Preheat the oven to 375ºF. Bake for 45 minutes, covering with foil the last 15 to 20 minutes to avoid over-browning. 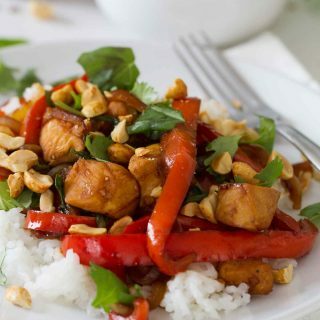 Cool in the pan for 10 minutes, then turn out onto a serving plate. While the bread is baking, prepare the icing. 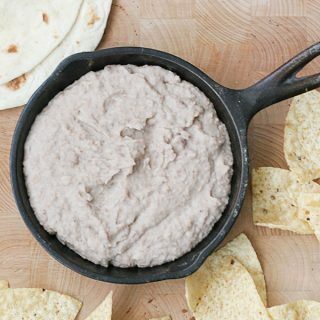 In a bowl, beat the cream cheese until smooth. Add in the powdered sugar and vanilla and beat to combine. Add in the milk, 1 tablespoon at a time, until you reach a drizzling consistency. Drizzle the icing over the bread after it has been turned out of the pan. 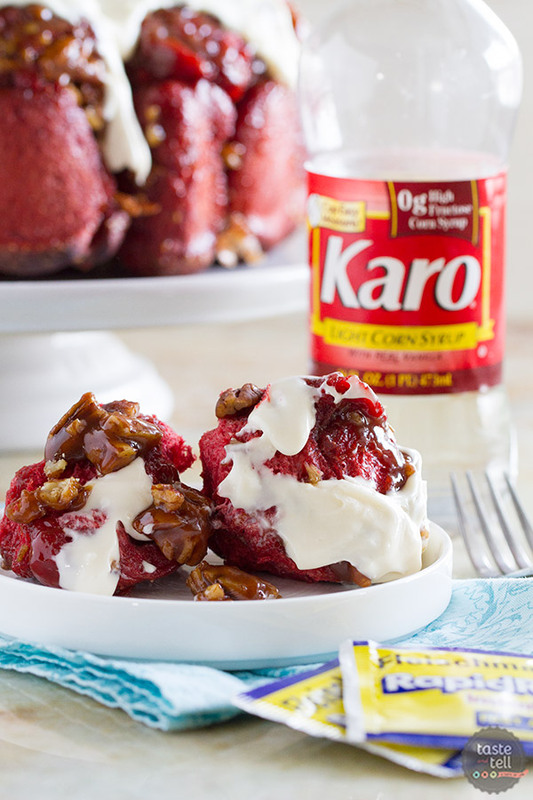 I am a Bake a Little Extra Blog Ambassador and this Red Velvet Pull Apart Bread post is sponsored by Fleishmann’s® Yeast and Karo® Syrup. I’m so glad to be able to work with companies and organizations that I truly believe in. Thank you for supporting them, too. I was wondering if you were going to post any red velvet recipes for V-day! 🙂 This pull apart bread looks amazing! whoa!! 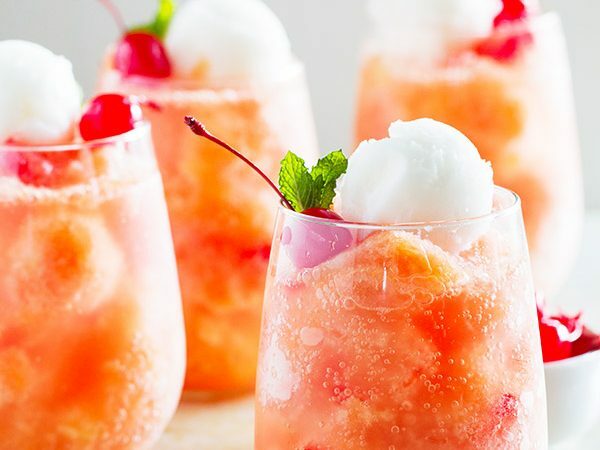 how yummy does this look! So fun for Valentine’s Day. Great idea. You are the queen of Red Velvet! I am so all over this for Valentine’s morning! Deborah, I cannot believe how amazing this looks! 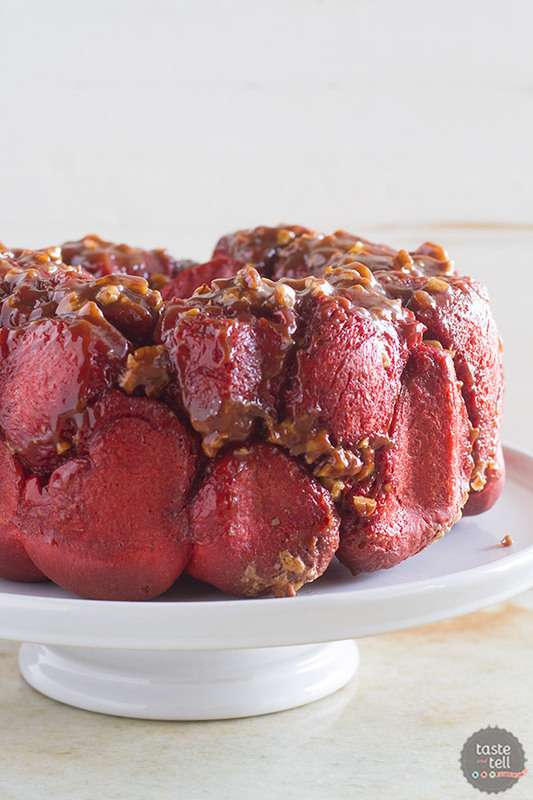 Soft red velvet bread with the nuts and that glaze, holy moly. Now this is love.